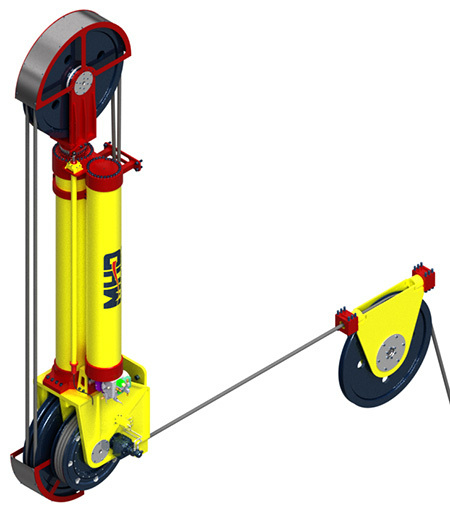 Drilling Riser Tensioners are used to keep tension on the drilling riser as constant as possible. The movement of the sea would cause buckling/stretching of the riser without such a device. 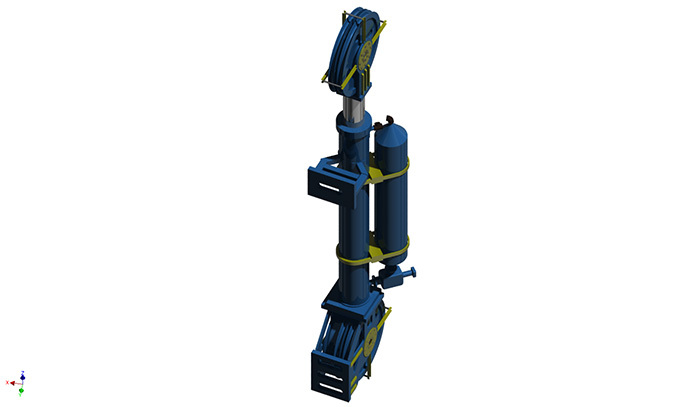 Maritime Hydraulic and its sister company MHD Offshore Group provide a full scope of Drilling Tensioners Products individually or as complete packages. 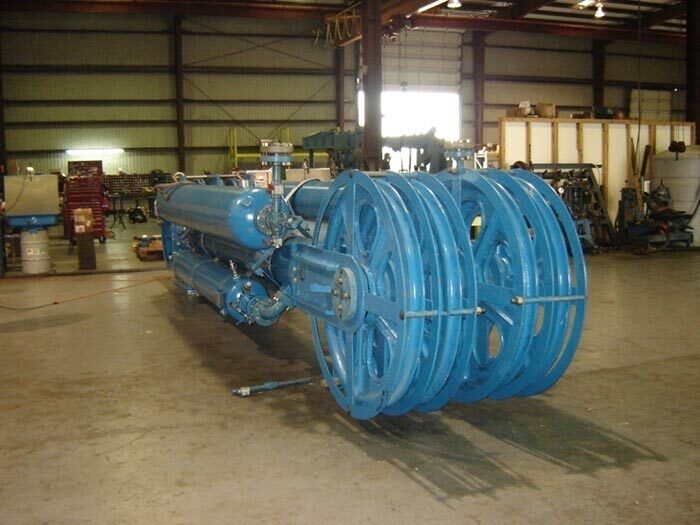 All of our drilling tensioner products are designed per API 8C (American Petroleum institute) and are certified to ABS (American Bureau of Shipping) Classification of Drilling Systems. -Single Wire Line Drilling Tensioners: sizes available: 120 kip, 200 kip, and 250 kip, with 50 feet wire line travel as standard. Increased capacities and custom designs are also available. -Tensioner Control Unit: includes all hydraulic, pneumatic hardware and turn down sheaves. -Air Pressure Vessel Bottles (APV); bank designed per specific project requirements. NOTE: Existing 80 k tensioner systems can be upgraded to our MHD 120 k system.